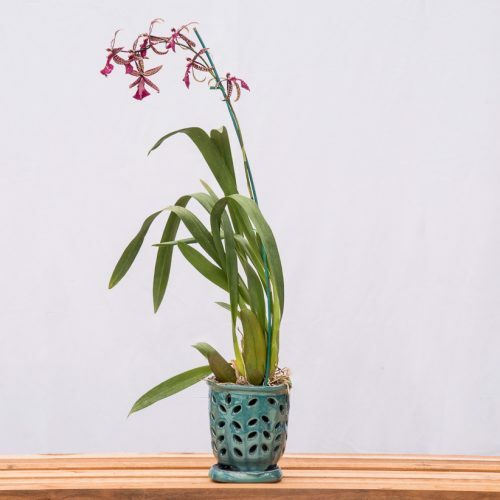 Telly’s typically offers several types of Orchids, including Phalaenopsis, Cymbidiums, Cattleyas, Oncidiums, Paphiopedilums, and more. 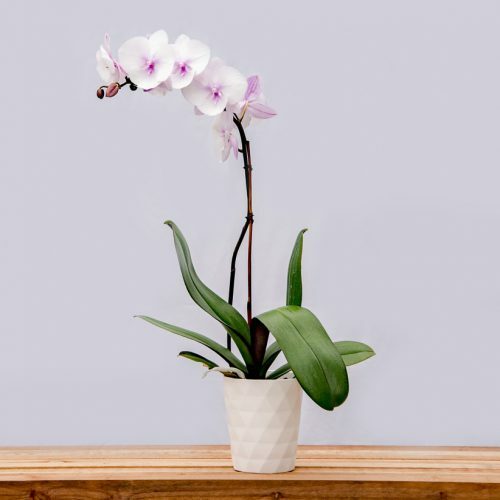 Orchids’ flowers can last for several months with proper care, and they are one of the few flowering indoor plants that will rebloom beautifully for years. 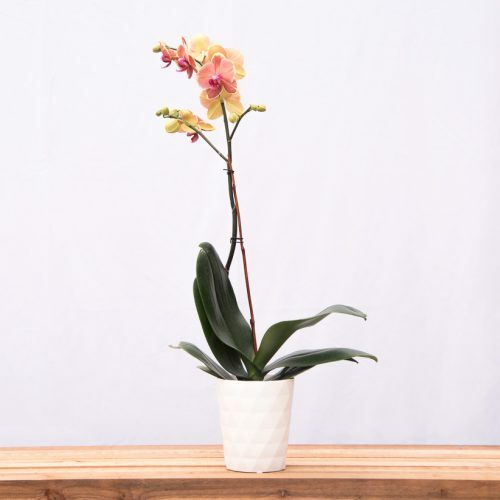 Make sure you ask for a specific care sheet when buying any of our orchids. 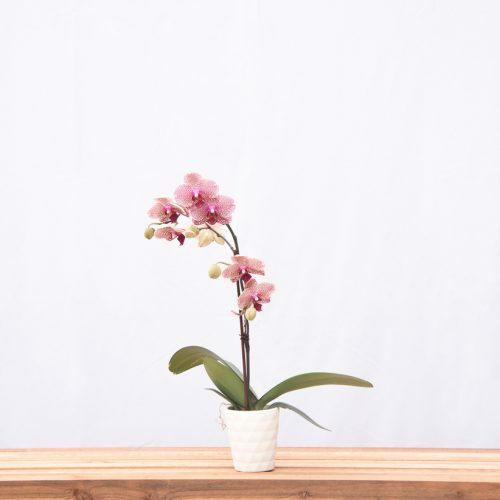 The Phalaenopsis or Moth Orchid is a beautiful, long blooming (2 to 6 months), and they can bloom multiple times a year. 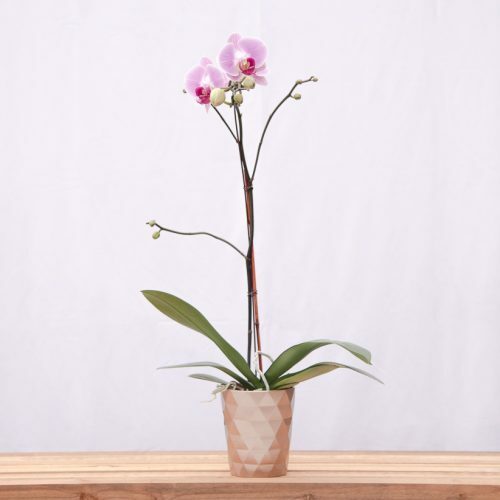 They love the indoors and require medium diffused light, which makes them perfect as gifts and houseplants. 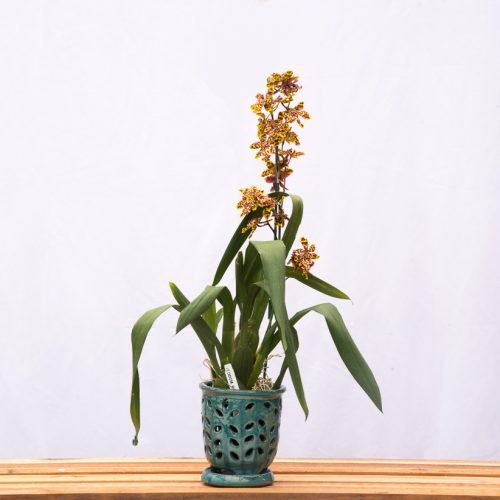 The Oncidium or Dancing Lady Orchid is a gorgeous tropical orchid that grows well indoors. Bright diffused light is best. 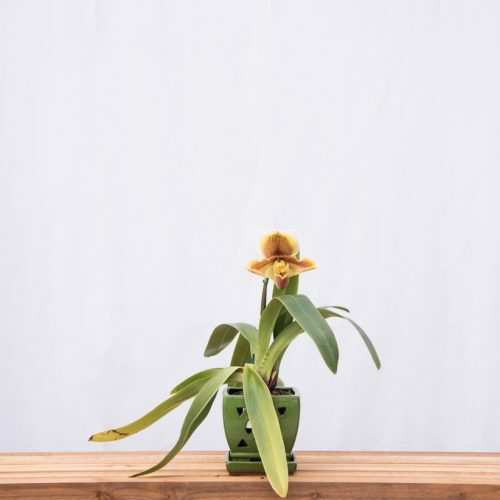 Paphiopedilum or Lady Slippers Orchids are spectacular with their unique shaped, large and colorful blooms. 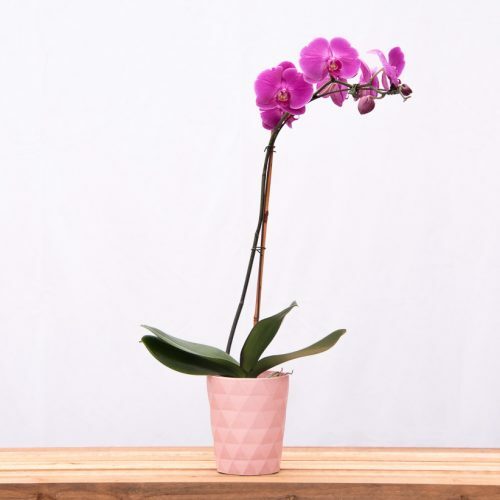 They are very easy to grow and maintain in low light conditions, with typical household temperatures. 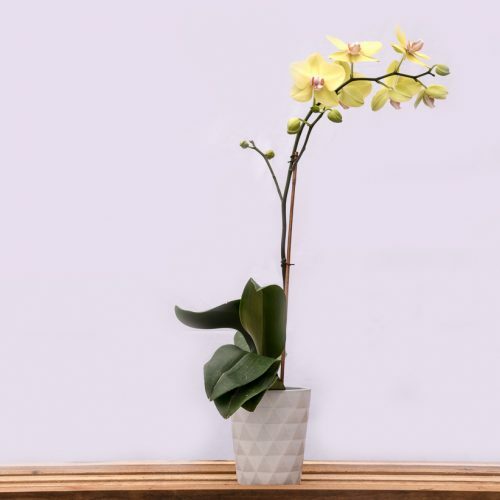 The Cattleya Orchid has a dazzling display of color and unique shape and sometimes fragrant blooms. 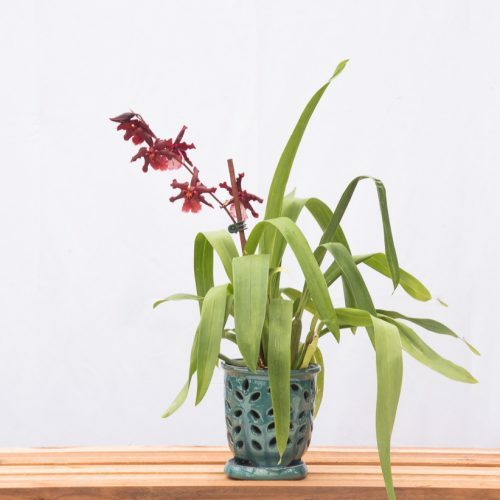 They need lots of light (avoid direct sunlight), water frequently, but in well-draining soil. 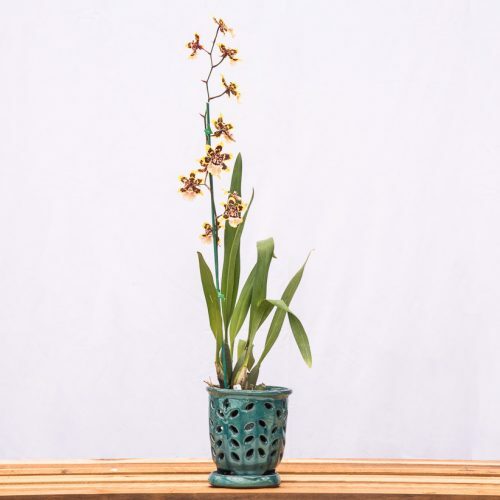 Miniature Cymbidium Orchids are elegant with star-shaped blooms. They prefer diffused light, with a southeastern exposure. They are heat tolerant but like lots of water.